Home services startup Housejoy's revenue rose nearly 32 times in FY16, but losses also went up 20-fold as employee costs soared and the company spent more on advertising and promotions. The company, run by Sarvaloka Services On Call Pvt. Ltd, reported total revenue of Rs 17.1 crore against Rs 54.43 lakh in the previous year, its annual report filed with the Registrar of Companies (RoC) shows. Revenue from services stood at Rs 15.02 crore compared with Rs 21 lakh in FY15. Losses, however, widened to Rs 67.55 crore from Rs 3.53 crore in the previous year. Total costs rose to Rs 84.65 crore from Rs 4 crore in FY15. That was mainly because the cost of services increased from Rs 21 lakh to Rs 26 crore while staff costs soared to Rs 23.11 crore from Rs 1.33 crore. Of total expenses, advertising and publicity expenses stood at Rs 21 crore, up from Rs 1.12 crore last year. The company spent Rs 4 crore on discounts during the fiscal. Earlier this month, it was reported that Housejoy had raised fresh capital from Brand Capital, the ad-for-equity investment arm of Bennett, Coleman and Co. Ltd (BCCL). Prior to that, it had raised Rs 150 crore ($22.4 million) in Series B funding from a group of investors led by e-commerce giant Amazon. Housejoy made two acquisitions in 2016—at-home personal fitness tech startup Orobind Fitness Technologies Pvt. Ltd, and cleaning and laundry startup MyWash Technologies Pvt Ltd. 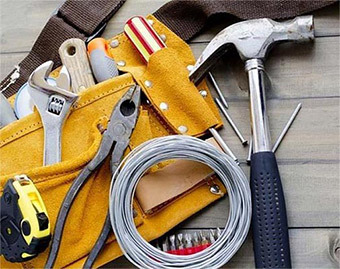 The other major player in the home services space, Delhi-based UrbanClap Technologies India Pvt Ltd, had raised $25 million (Rs 165 crore) in Series B funding last month from Bessemer Venture Partners, Accel Partners and SAIF Partners. Temasek's venture arm Vertex Ventures, Qualcomm and Ru-Net Technology Partners, and existing investor Matrix Partners also participated in the round. Home services startups have been in troubled waters since last year. Many have tweaked their businesses, halted operations or axed jobs in a bid to control costs and sustain investor interest. Some smaller players have also been acquired by bigger rivals. In June 2016, LocalOye, backed by Tiger Global and Lightspeed Venture Partners, pivoted its business model to focus more on business-to-business (B2B) customers for better monetisation. In February 2016, Mumbai-based home services startup Zimmber acquired Gurgaon-based FindYahan and, in September last year, Mumbai-based DoorMint pivoted to laundry services in Mumbai and closed down its Bangalore and Gurgaon operations. In May 2016, Bangalore-based Qyk, a mobile marketplace for local services, became an aggregator for home construction, renovation and interior designing services and rebranded itself as Papertostone.